Your body shop website is showing its age. Five years ago it looked brand new and cutting edge. It presented your company in a way that made you seem like a major player in your industry. Today, however, when you look at it, you’re reminded of old versions of Windows, or an 8-bit video game. Finally, you decide it’s time for a complete website redesign. A redesign can be an exciting new venture, initially. Unfortunately, that excitement can turn to panic when your website launches, and your rankings tank. All that effort you put into making your website look modern and beautiful has left you with a gigantic website that takes five seconds to load. When it comes to building a website, one of the most important factors to consider is page speed. This influences how much time a customer will spend on your website, and how engaged they will be. Recently, Google released data that showed that 40% of customers will not stay on a page that takes longer than three seconds to load. That’s 40% of potential conversions a website can’t afford to lose. Google has also indicated that page speed is now part of their ranking algorithm and as more visitors bounce off a page due to slow load times, it will have an additional negative impact on search engine ranking. As we all know, being higher on the SERPs has a huge impact on how many potential customers will click through to your site. 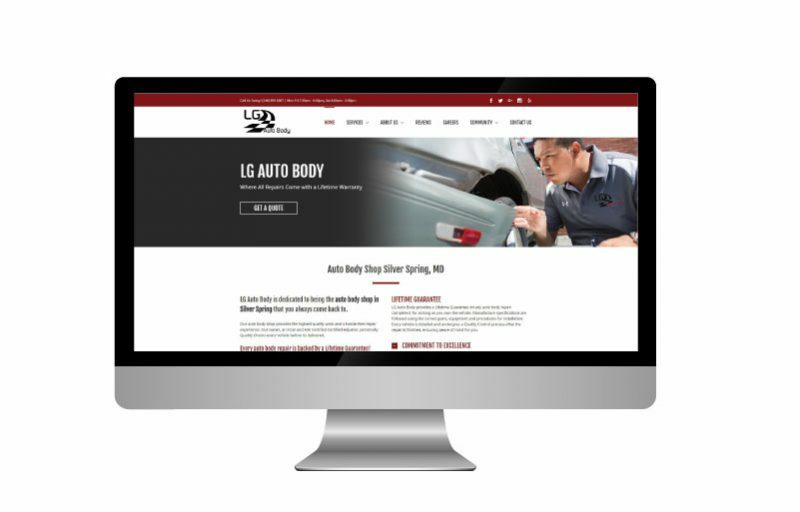 With our client, LG Auto Body, we had the opportunity to get it right from the beginning with a brand new site redesign. Above was LG Auto Body’s old site. It was basic and didn’t hit the mark when it came to user experience or search optimization. With their new body shop site, we took into account what elements would take time to load and questioned what was necessary to achieve a visually appealing site with great user experience versus what was just fancy graphics. We started at the design stage. Videos, while great for user experience and SEO, were lazy loaded and kept off of the homepage. Strategic placement of elements to optimize the user experience for conversions, taking into account mobile responsiveness and layout. We didn’t stop there. 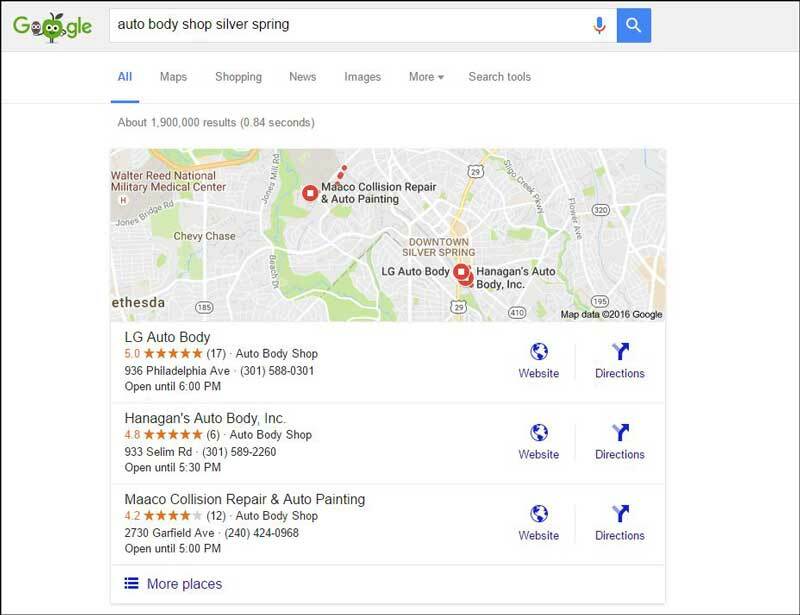 In the local area, LG Auto Body had consistently been running second or lower on Google’s search engine Snack Pack. With a focus on local SEO and keyword placement, we were able to move them to the top of the Snack Pack. 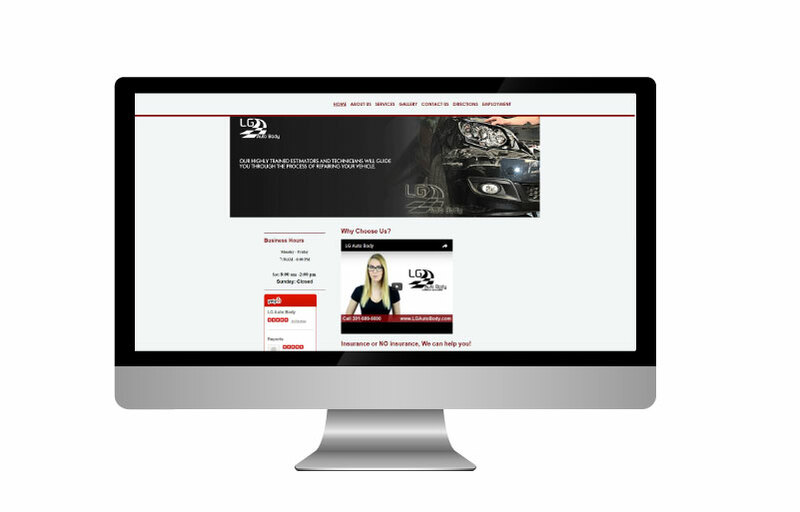 It was important to us that we could deliver a body shop website that would make an impact as soon as it was launched. 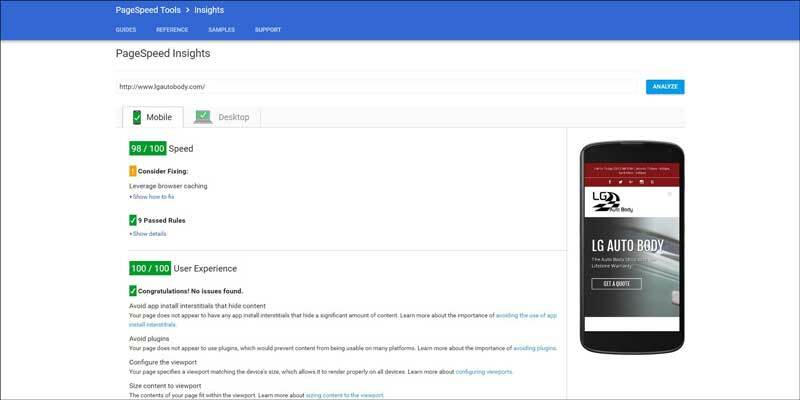 By working on these areas from the beginning, we developed a site that fulfilled the local SEO requirements and optimized page speed while still being visually appealing. And even better, a very happy client.